In West Africa, drug trafficking is threatening peace and stability of the new and fragile economies and democracies which emerged after years of civil wars in the region. Globalization has opened routes from drug producing countries in South America and Asia to Europe with one hub in West Africa. With an elevated presence of drugs, their use in the region has increased also. Widely held policies that criminalize the possession and use of drugs have put many in jail for relatively minor non-violent offences, overburdening local criminal justice systems and worsening police corruption. The laws are applied disproportionately to the poor, leaving the high-level enablers of the drug trade unpunished. The criminalization of drug use has stopped drug users from seeking help and accessing health service, which has led to other serious health challenges such as the spread of HIV and other infectious diseases linked to injecting drug use. Concerned about these threats, in January 2013, Kofi Annan convened the West Africa Commission on Drugs (WACD) to study the issue, develop evidence-based policy recommendations, raise public awareness and put the issue on the political agenda. The Commission includes 11 regional leaders from the political world, civil society, the health sector, security and law enforcement, and the judiciary. The Kofi Annan Foundation provides the secretariat to the WACD. 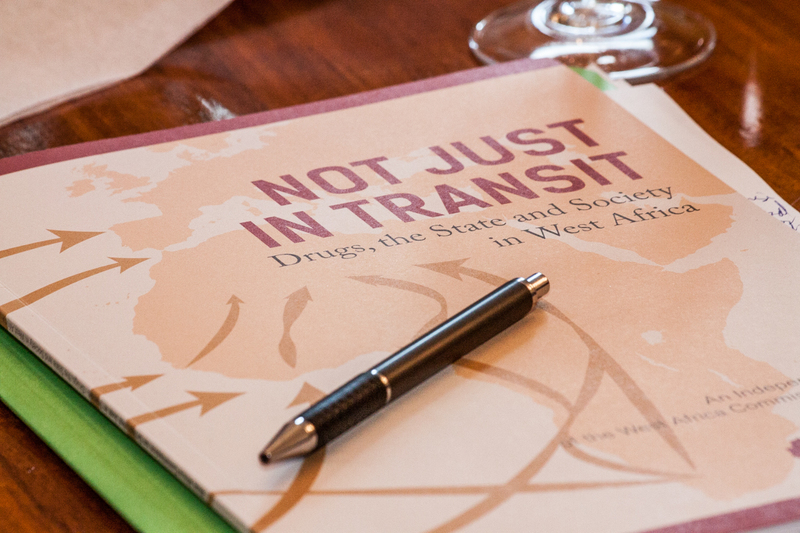 The report “Not Just in Transit: Drugs, the State and Society in West Africa” was launched on 12 June 2014 in Dakar and received broad media attention. Illicit drugs are an international problem that cannot be solved by West Africa alone. Intensify cooperation between producing, transit and consuming countries not only on interdiction but also on prevention, treatment and harm reduction. Tackling West Africa’s drug problems in an effective and timely manner will require the active engagement and strong commitment of leaders and civil society in West Africa and in major producer and consumer countries to ensure that societies everywhere are adequately informed and protected. The report serves as a step towards greater public awareness needed for this to happen, as well as opening the public debate. The WACD is now working on an advocacy and outreach campaign. To visit the West Africa Commission on Drugs website, click here.